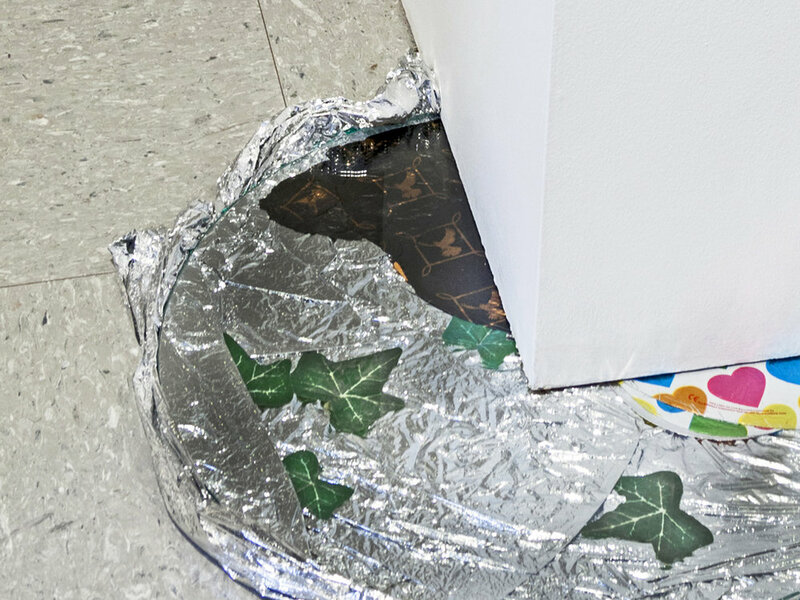 The artist worked with residents of Springfield, Illinois, who she asked to loan her something that they “hold onto, but do not keep on public display.” These objects were then used to create an installation at the Visual Arts Gallery at the University of Illinois, Springfield. The installation activated the gallery’s idiosyncratic architectural spaces and employed hiding, revealing, and discovering as aesthetic strategies. All objects were returned to their lenders at the conclusion of the exhibition. Text on the left: A rock labeled “Unknown Object” stored in the vault of this museum, 15 feet below where you are standing. It will most likely remain here for the life of this institution. Text on the right: The rock located inside a mountain 12 miles east of where you are standing, that no one has ever seen. A four-channel sound installation for car radios, commissioned by the New Mexico Department of Cultural Affairs for the Edgewood, NM Town Park and Pavilion. The audio featured a conversation among three of the town’s residents. Each voice in the conversation was recorded individually and then broadcast on a separate radio frequency. Thus, multiple cars and viewers will had to be present to hear the entire conversation. A fourth radio transmitter broadcast a field recording of wind blowing at the site, a prominent and persistent environmental feature in Edgewood. A project that temporarily transformed Co-Prosperity Sphere, a Chicago gallery, into a public park during the winter months. 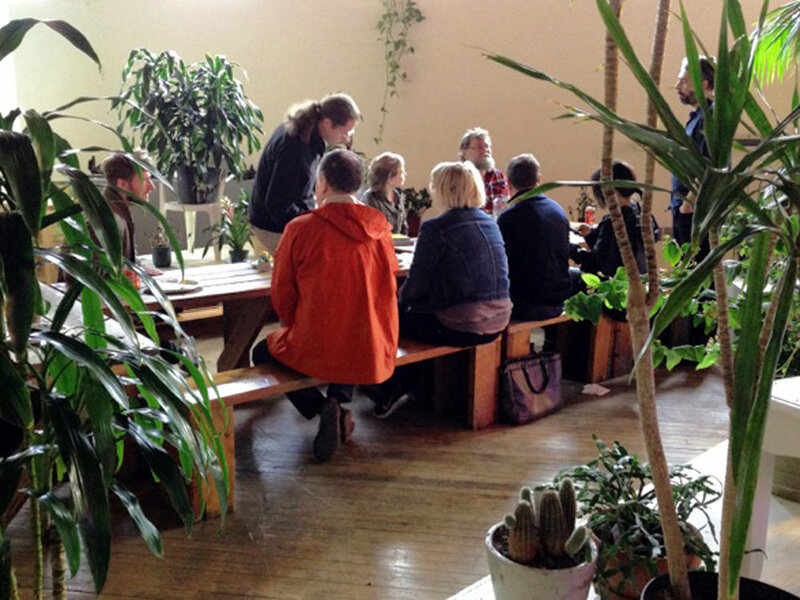 The indoor park space was created by temporarily borrowing houseplants from participants in the city. The plants were labeled with the names of their respective neighborhoods and were installed on pedestals built from donated furniture. (provisional) Park adopted the same policies of use as Chicago City Parks, including being open daily to the public from 6AM-11PM. It also became a free venue for community members to stage other short-term projects, such as readings, concerts, and classes. An ongoing project in which the artist works with students to research on the aesthetic and performative strategies used in nonviolent resistance movements. These strategies are then used as the basis for collaborative performances, installations, and interventions that take place in public spaces. The resulting artwork has included things such as guerrilla projections, temporary inflatable sculptures, durational public performances.